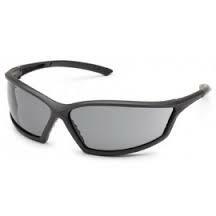 Strong, four-sided frame weighs just one ounce, providing both durable protection and comfort. Soft inset nosepiece helps ensure comfort and provides a snug, secure fit. Available in three distinctive frame options: 4?4, 4?4 Sport, and 4?4 Style. Independently tested and certified by Underwriters Laboratories to meet ANSI Z87.1 and CSA Z94.3 standards. Meets?ballistic impact resistance requirements for eyewear in US Military Performance Specification MIL PRF-31013. Why Choose D.E. Gemmill Inc. for Certified and Tested Safety Glasses? We strive to guarantee satisfaction to our customers through the gear we provide. You can come to our store in person, try on our safety glasses and leave with them and any other gear you need that same day. Alternatively, you can order online and expect quick, reliable shipment to your location. Either way, you’ll end up with a quality product that works for you and any team you work with. Guidance: Our staff knows how to answer your questions, give you the facts and help you make a selection. We don’t want you to leave our store or site with the wrong products any more than you do, which is why we’ll work with you to assess your unique worksite and application before helping you find the perfect equipment. Large inventory: Whether you need Gateway 4×4 style safety glasses, safety apparel, pavement markings and maintenance items, traffic control and signage gear or something else, you’re sure to find it with us. We’re your one-stop shop for the industry. Customization: We’ll even work with you to customize certain items when you call us at 866-755-9794 with your requirements. Coupon: To bring you the most budget-friendly prices, we offer every customer the chance to sign up for a first-purchase coupon. Get yours now! If you’ve been waiting to find the right shop for your safety glasses or other products, wait no longer. Get the safety, comfort and productivity you need from a source you can trust.